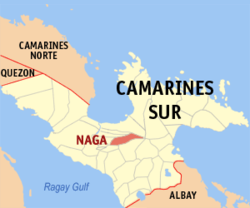 Naga is a 9-hour drive from Manila. 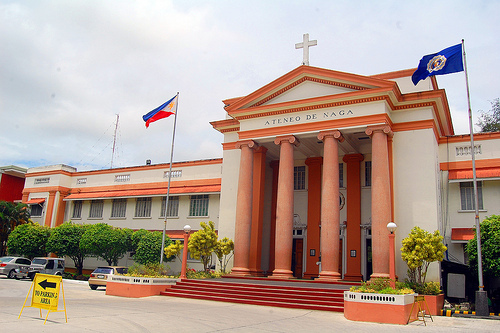 For info on how to get to Naga, click here! 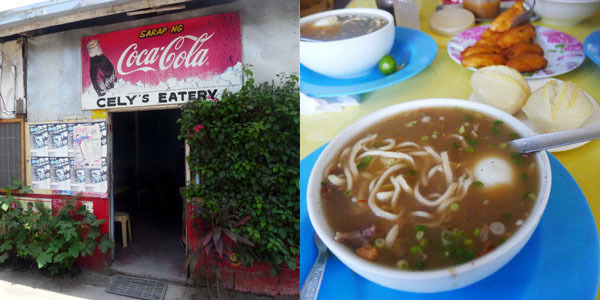 Naga is a small and quiet city in the Bicol Region famously known for the annual Peñafrancia Festival... and pili nuts. Interestingly, everything seems to be five minutes away. Travelers can easily get around by trike, jeep, or the occasional taxi. Traffic isn’t a problem and traffic lights don’t exist. 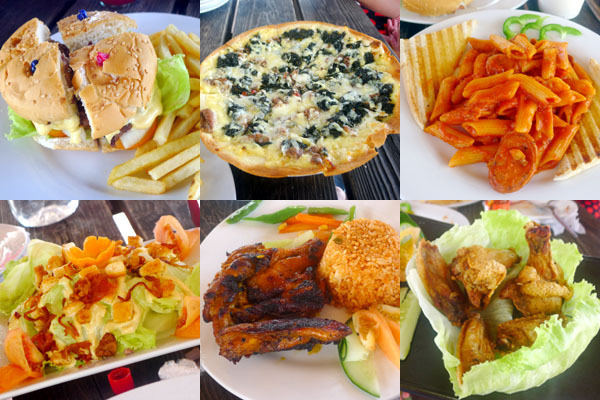 There are lots of places to eat local food, too! Click here to know where. 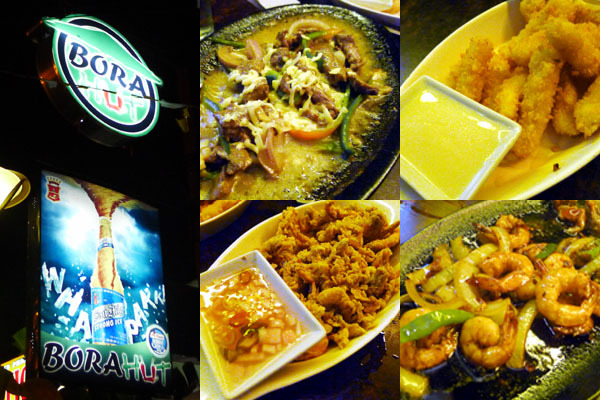 The brands and restaurants that we’re used to in Manila are mostly there. Even SM is there, too! To correct misconceptions, Naga isn’t very rural after all. 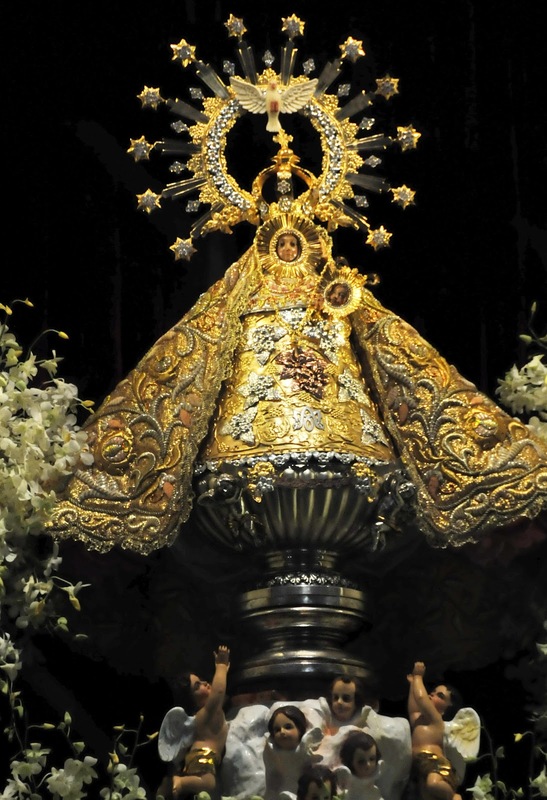 This is the original home of the 300-year-old wooden image of the Blessed Virgin Mary that came from Spain. While it's not there anymore, it makes a nice visit even if, like me, you’re not in to churches. 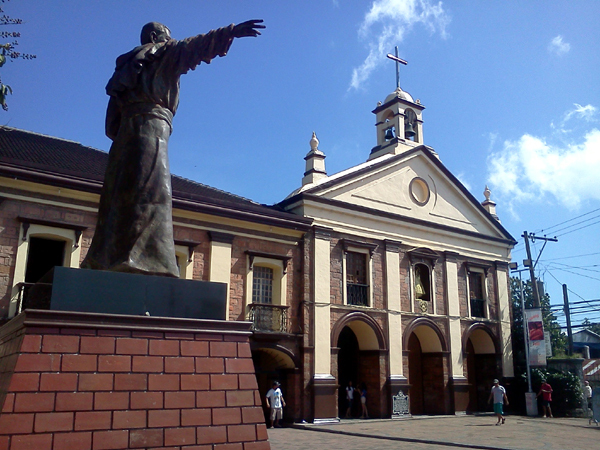 The Peñafrancia Shrine is more or less 300 years old. That's Miguel Robles de Covarrubias. Read about his significance to the shrine here! 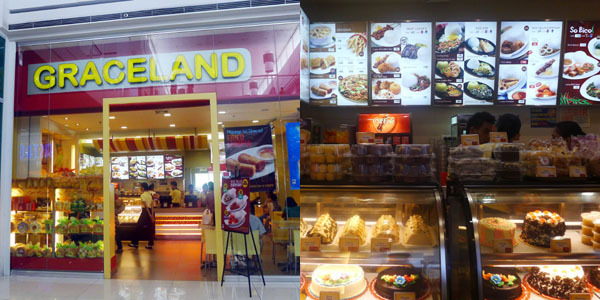 You won’t miss this upon arrival in Naga's domestic airport. From the city, though, it’s a 2-hour drive to see the view. Consider yourself lucky if you see the perfect cone. Most often, it’s covered by clouds. The view of Mt. 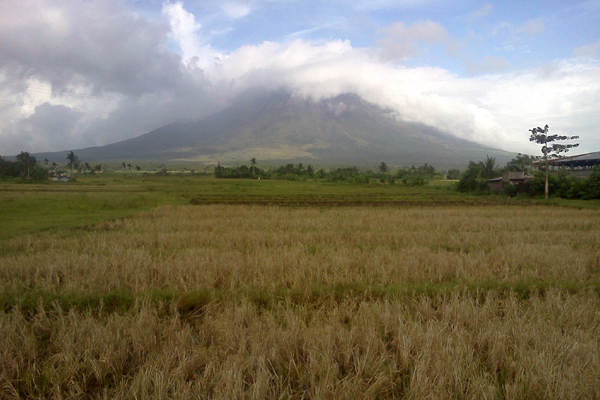 Mayon when we went there. Ten minutes before this photograph, the mountain was completely covered by clouds. 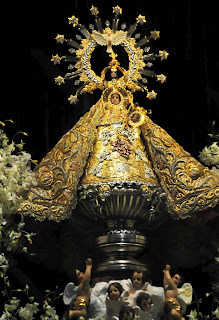 Every September, the image of Our Lady of Peñafrancia is brought from its new home in the Basilica Minore and paraded to the 400-year-old Naga Cathedral for prayers and masses. These places are nice to visit even if it's not festival time yet. 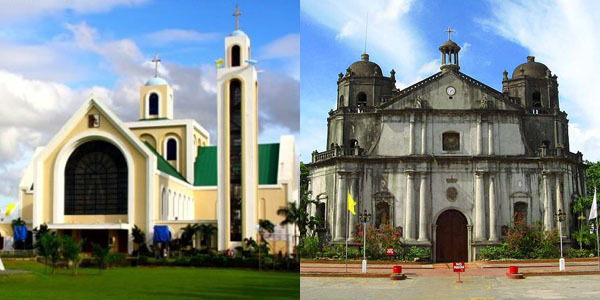 The Basilica Minore (left) and the Naga Cathedral (right). Wakeboarding and kneeboarding are must-try activities. 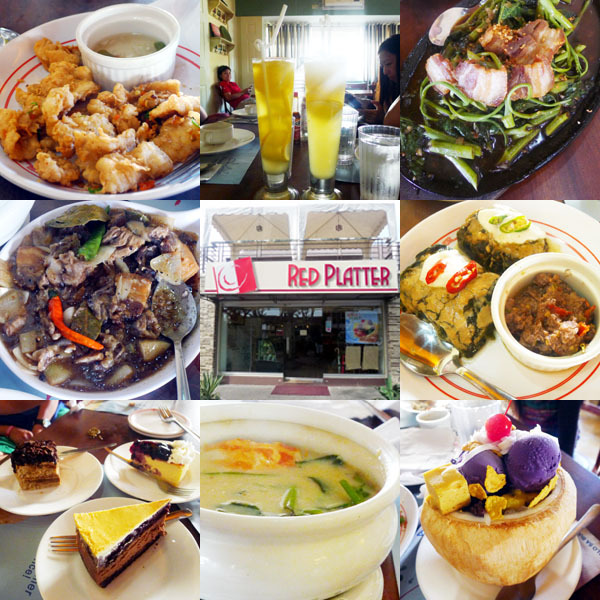 Your body aches afterwards (especially for first-timers) but the experience is worth it. 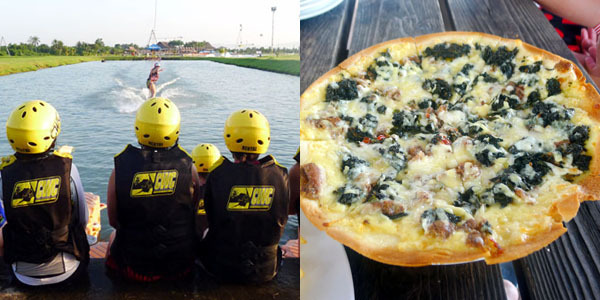 CWC is a twenty-minute drive from Naga City. 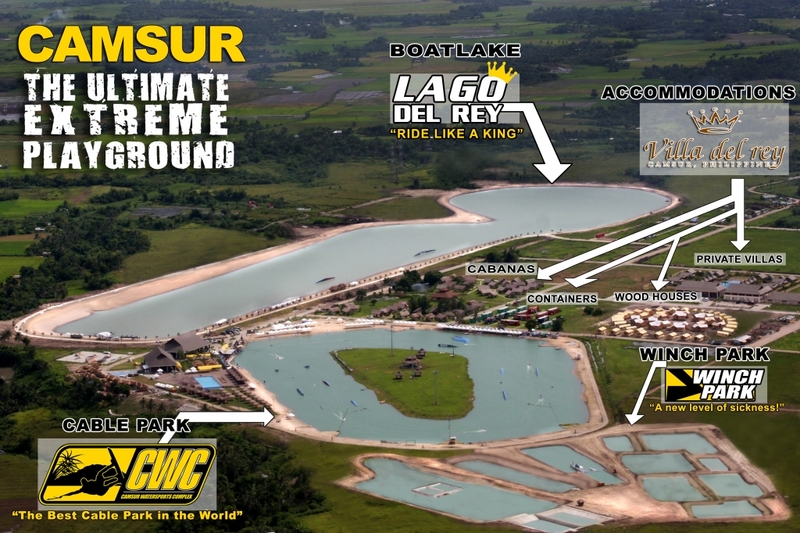 CWC is considered "The Best Cable Park in the World"
You'll see Mt. Isarog from there. Vietnam is a place where all aspiring millionaires' dreams come true. 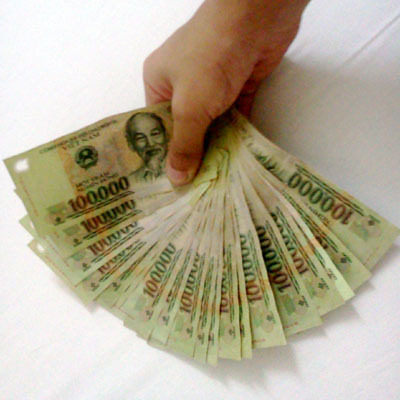 With just $50 USD, you can boast of being a millionaire already—in Vietnamese Dong, that is. That's 2 million in my hand right there. I fanned myself with it. Haha! Everything is generally affordable in Vietnam. I got through 4D/3N in Ho Chi Minh City with around Php 20k, which includes plane tickets, accommodations, tours, food, and even shopping! Upon claiming your luggage in the Tan Son Nhat Int'l Airport in HCMC, exchange your USD in Exim Bank. 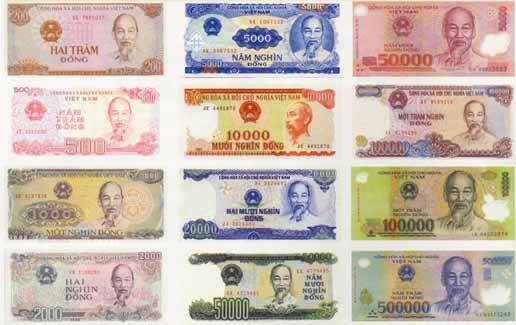 All bills in Vietnamese Dong look alike, having Ho Chi Minh's picture. They're practically uniform in size, too! 1. Bring US Dollars. You can't have Php exchanged for VND in Manila. 2. Exchange $ for VND in airport. Not the best rates but at least you have Dong upon arrival. 3. Exchange rates are better in hotels. It's most convenient, too. 4. Count the zeros! All bills look alike so don't mistake a 10,000 bill for a 100,000! 5. Converting VND to Php: Remove last three 0's in the figure and multiply remaining number by 2. 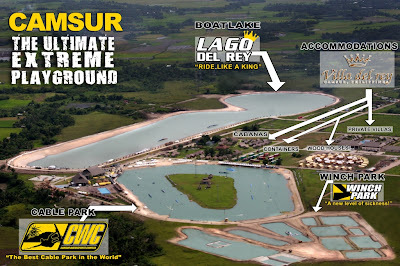 If you plan on using the CamSur Watersports Complex (CWC) facilities for a while, or if you want to avoid the hassle of riding the shuttle to and from Naga, consider checking-in at Villa del Rey Hotel. The hotel says that it's suited for just two people but really, four to six people can fit comfortably. Villa del Rey is walking distance to the different water parks! The notion is that the rooms in Villa Del Rey are quite expensive. Check out the rate card. Most likely, there's a room that's suited for you and your barkada's budget. There's a room for you and your barkada's budget.